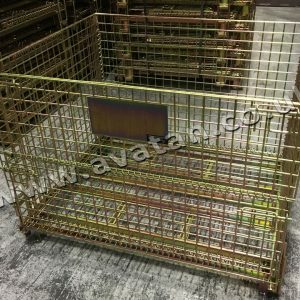 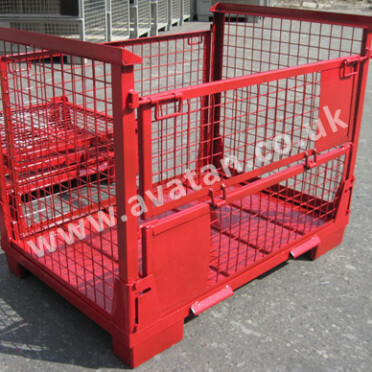 Traditional stillage similar to cage pallets elsewhere on the website but fitted with lifting eyes or lashing straps enabling the crane lift stillage to be hoisted by crane or hoist. 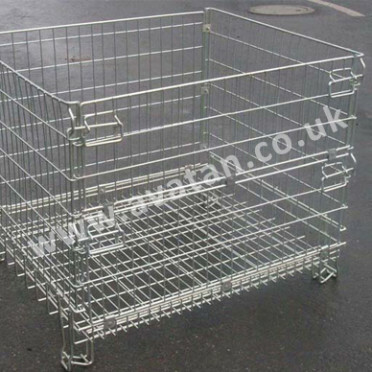 Shown with sheet steel base and mesh sides but may be manufactured with sheeted steel sides and with hinging gates. 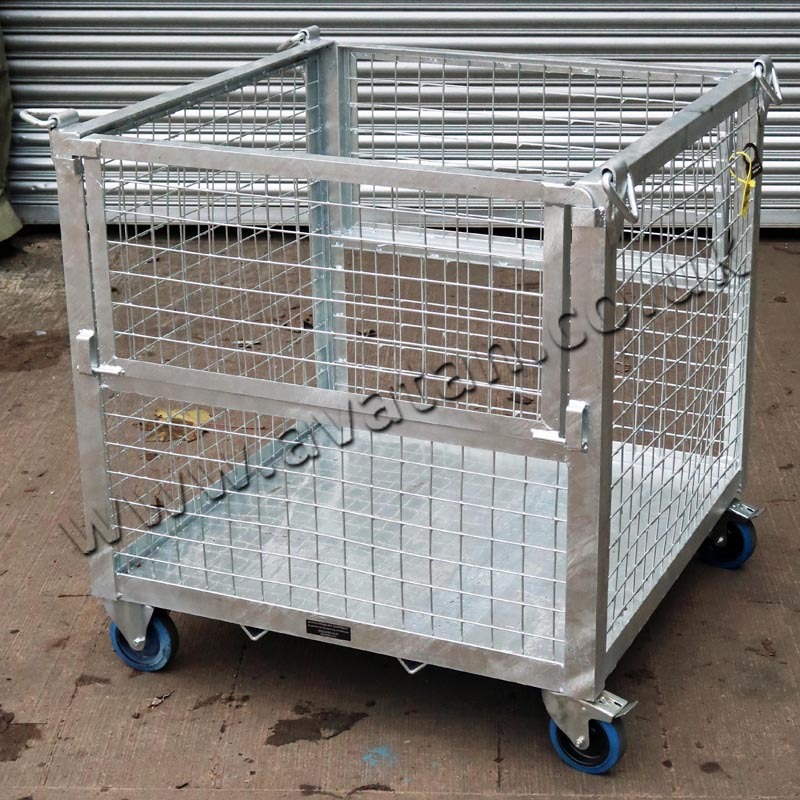 The galvanised cage pallet pictured is shown with lashing ring and mounted on heavy duty wheels. 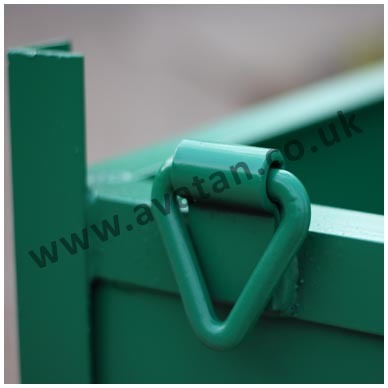 For a more economical finish, painted finish is also offered. 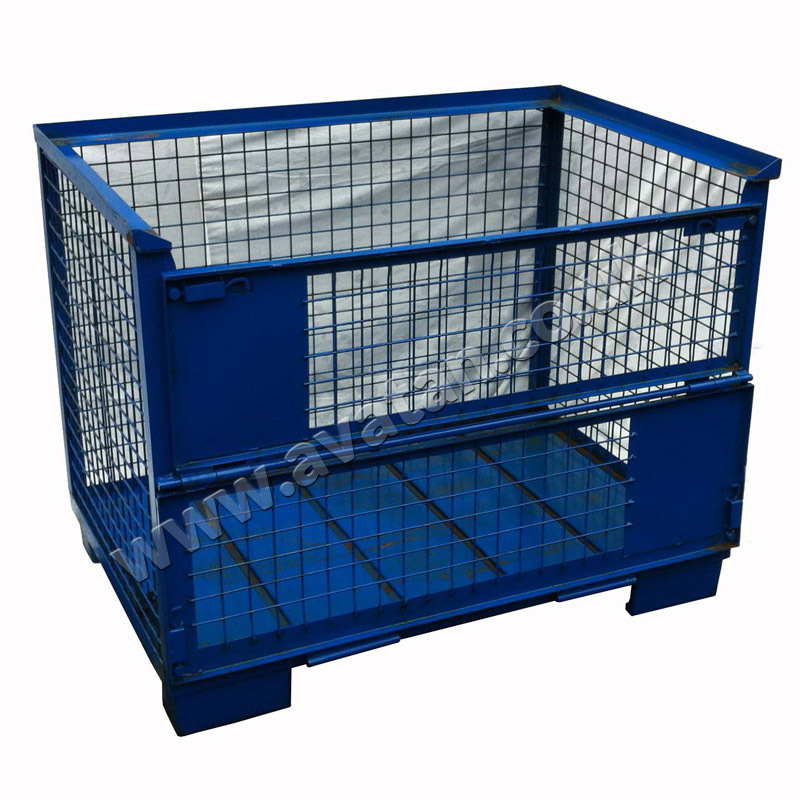 The mesh stillage shown is not stackable.